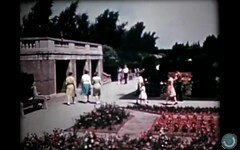 Check out this fascinating promotional video about Hamilton, produced in the 1940s. It speaks to a prouder, more ambitious Hamilton. Portrait of a City on Vimeo. Getting misty. Hankering for some of that good ol' fashioned post-war prosperity! "...a simple supplementary index can be calculated from readily available data that captures one of the most important ways that changing distribution patterns have affected middle-income families. I call it the toil index. It measures the number of hours that median earners must toil each month to be able to rent a house in a school district of at least average quality. (Could the median earner aspire to any less?) Unlike per capita G.D.P., which, apart from brief recessions, grew at a strong and steady rate from the end of World War II until the recent downturn, the toil index has been much more volatile. Its movements suggest that recent increases in income inequality have imposed substantial economic costs on middle-income families. By 2000, the median worker had to work 67.4 hours a month to put his or her family into the median home. The toil index thus fell by 2.4 percent from 1950 to 1970, but rose by 62.4 percent from 1970 to 2000. Yet all the while, steadily rising per capita G.D.P. painted a substantially rosier picture." Wow. Awesome vid. Rooftop dining at the Connaught. Closest we have to that now is the London Tap House. I love the part about the high quality accommodations for tourists. We've sure fallen a long way in that one. "A city winds through to greatness because it's people are ambitious, enterprising and are not afraid to initiate new projects as they turn the pages of progress"
Amazing. That line really stood out to me. A line that so many people who live here have completely forgotten and what will be important if Hamilton is to ever return to greatness. Many thanks for posting this film. Although the 40's are a little before my time, I recognize many of the landmarks and stores from my youth. A very evocative piece. amazing find! I mean look at that market..and the busy streets. loved the street cars and bus station. just learnt that centre mall was where the old jockey club used to be...never knew about that! What if the Jockey Club did not go our of business? What if the Birks building was not torn down? I hopscotched through this to get a sense of it and look forward to watching it properly at home tonight. But one part caught my eye ... a beautiful formal park I didn't recognize. I squinted. Thought about resorting to google. And then I gasped, quite literally. With a little noise and everything. In public. "That's outside my office window. I can see where it used it to be." I think that this was the McMaster Sunken Garden, torn down to build the brutalist hospital. Right next to a big empty field that's now a parking lot. And speaking of McMaster .... coffee break is over; so enough griping at what McMaster was and back to working on what it is. There were Gage Park scenes in that video as well. You can see all kinds of kids playing in the fountains of Gage Park. I too was taken aback by that garden. I never saw the garden at McMaster but when I saw that scene, with the cars passing in the background, I thought I knew where it was. There exist what are almost ruins of a garden very much like that one, located just west of the high level bridge on York Boulevard. it is, nestled between the 403, York Blvd. and Old Guelph Road. Now I'll have to go back to see if it's a fit. Do you know of any pictures or postcards of the gardens at Mac? "Do you know of any pictures or postcards of the gardens at Mac?" Hi Don, FYI Markdown is only enabled for registered users. Anonymous comments are restricted to plain text to reduce linkspam. They're also subject to a spamword filter that is not applied to comments from registered users. Thanks for the clarification. Skimming, I didn't read the first sentence saying that Markup is active only for registered users. I guess I really should register, considering the extra features available. Looking at an old postcard of the McMaster Sunken Gardens, it certainly does look they are what is featured in the film clip. The York Blvd. site I had mentioned is something similar, perhaps not quite as elaborate. So now I'm back to figuring it must be the remnant of some grand mansion or something. The old open-air market downtown is what stood out for me. I would have loved to have seen that. It seemed so vital. Everything in that video stood out for me. The people, the stores downtown, the vast amount of big name industries. I can't believe Hamilton was home to the head offices or major manufacturing facilities of some of the biggest companies in the world. General Electric/Westinghouse, Firestone, International Harvester, IBM, Stelco, Dofasco, P&G, Otis, Studebaker, Lifesavers. Kinda weird that a fair number of those companies left town within the last 10 years. Lifesavers, P&G, Westinghouse (bought by Siemens), Stelco. I think losing Lifesavers was really crappy, personally. It was a unique company to have. Same story as usual too. Lifesavers went through multiple buyouts between the 1980's to when they left around 2003 or 2004, those buyouts eventually resulted in the closure of "less efficient" plants. You can buy this on DVD from HIStory & HERitage on James North. That's where I first saw it. Just a point of information, 100% of the proceeds from the sale of the DVD you bought at HIStory + HERitage went directly to the person who produces the DVD's - Mr. Joe Bochsler. He is the man who saved the print from the garbage when they were about to tear down old City Hall in the early 60's, and for that we should all thank him. Joe is now in his late 80's and is still shooting images, although now digitally. He did the original transfer, first to VHS, and then to a digital format. Having said that, the more people who watch this the better. It is well past the 50 year period for copyright. Enjoyed the video at ArtCrawl. Graham do you have any knowledge of what is happening with the Connaught? I don't other than I hear there are several interested buyers but that the current owners are asking too much. There is also the rumour that they have been working at reducing the number of partners (and have already done so I believe). As most may know, the floors above the ballroom level (second floor) have all been entirely gutted/emptied so that the full floor-plate is visible (i.e. no walls, only support columns). That's not such a bad thing as it means a lot of the dirty work has been done. The hallways, light fixtures, doors, etc. had all been replaced over the years anyway, so they were not of any real value. That's not much of a report, but it's all I know. I was hoping a joint Mohawk-McMaster effort would have gone into the space. It speaks to a prouder, more ambitious Hamilton. "Can open, worms all over." This was a promo piece. A quaint, laugh-eliciting, propaganda/promo piece. (Probably the likes of which my parents viewed before they ventured across the pond to become Canadians.) I'm thinking that something equally suggestive of a 'proud, ambitious' Hamilton could be manufactured today...and be just as accurate. So while the visuals were lovely (though as a cinema buff, I'd have appreciated some nice interior shots of the Palace or the Capitol), it's ill-advised to take what's there verbatim. Or, in the words of another wag, not view it with either context or perspective. I was also struck by the monocromatic citizenry. And, for a reel so devoted to the virtus of industry, not a whiff of the labour turmoil that wracked Stelco in 1946. Then again, it's the product of a team that had earned its salt making WWII propaganda. I believe that the Chamber of Commerce and CHCH co-produced a similarly rosy promo "documentary" in the early 2000s.... and they also took pains to omit more turbulent passages in the city's history. this was meant to be posted in another thread clearly. lol. thanks for the upvote though. neither seem true today ... some how related ... but yet ... The largest canadian employer at the time ( i thinking stelco) is now US owned ...and leaving ( more or less) . There were a few shots of Civic Stadium/Ivor Wynne and it looked really nice; much moreso than what stands there today. Incidentally, my parents have mentioned the beautiful Sunken Gardens on several occasions and apparently their demolition was quite controversial. The Hamilton of 2011 couldn't be much different, could it? Man, when oh when can the Royal Connaught be restored to be a prominent landmark in Hamilton again as it should be? What at terrific video. Saw it on a larger TV screen at the art crawl last night. Beautiful! And now the nattering begins! I absolutely love this video even if some of the things were before my time, it still invokes a sense of innocence and a simpler time. I just can't get enough of these vintage films. Does anyone know where I can view similar types of video footage of Hamilton?